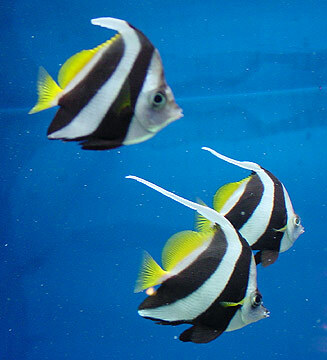 Peaceful schooling fish that you should keep in a group and can be kept together with other peaceful fishes. The aquarium should be well planted on the sides and background. In the middle you should leave a lot of free swimming space. You can give them all kind of live food, but dry food is accepted as well. To keep the colour you should feed regularly daphnia. Breeding is easy. As spawning material you can use javamoss. 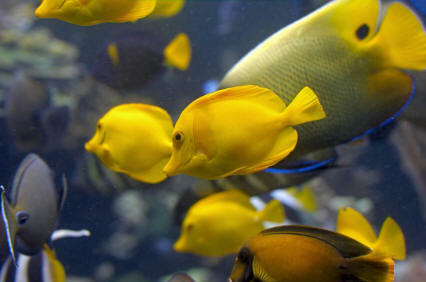 When the eggs are laid and fertilized you should remove the moss to another aquarium. After a week the eggs hatch and the young fishes are looking for food immediately. You can give them vinegar eels or fine infusoria. They are not growing very quick. 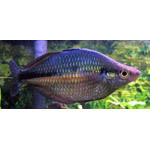 Ideal tank mates are Discus, Angelfish, Guppies, Platies, Mollies, Swordtails, Tetras, Gouramis, Barbs, Danios, Rasboras, Loaches, Plecos, Scavenger Catfish of similar size.